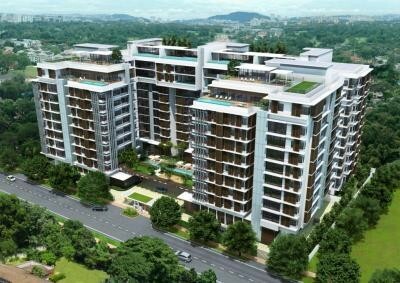 An artist’s impression of CapitaLand’s Sastra U-Thant, a luxury residential project in Taman U-Thant in Kuala Lumpur. CAPITALAND Commercial (M) Sdn Bhd, an indirect wholly-owned subsidiary of Singapore's CapitaLand Ltd, is actively looking for potential land in prime locations in the Klang Valley and other key cities in Malaysia for more property developments. Its vice-president of project and asset management Lim Chee Ming says the company's long term plan is to focus on residential and commercial projects. “We also intend to set up new funds to take part in more developments. We are monitoring market conditions very closely as the timing must be right,” he shares with StarBizWeek. Lim says the Malaysia Commercial Development Fund (MCDF) is a successful fund which has distributed double-digit returns to its investors to-date. It is on track to return the balance of the investments by 2013. MCDF was established in 2007 by CapitaLand and Maybank to invest in real estate development projects in the Klang Valley. The private real estate fund closed at US$270mil. Some of the completed projects by the fund include One Mont Kiara and KL Sentral Lot J, in which MCDF has already divested. 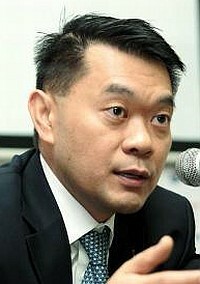 Lim says moving forward, the company intends to set up similar funds for its new developments. “The Malaysian government's plan to attract 100 multinational companies to establish their global or regional headquarters in the Klang Valley has the potential to upkeep a buoyant outlook for the office sector. “We are also positive with the outlook of the residential sector. There is still high demand for new residential properties as the take up rates of recently launched residential developments are encouraging,” he says. The company's most recent project in Kuala Lumpur is Sastra U-Thant, a luxury residential project in Taman U-Thant, a prestigious diplomatic enclave off the Kuala Lumpur City Centre. The project is a joint venture between CapitaLand and Juta Asia Corporation Sdn Bhd. As of last month, the foundation and basement works for the project have been completed, and Sastra U-Thant is slated for completion next year. CapitaLand Commercial Malaysia head of marketing Jaselyn Wan says the project has received strong support from high net-worth Singaporean buyers who are keen to invest in prime properties in Malaysia. Wan says the sentiment for the local residential market is still positive with encouraging take up for new residential projects. “There is increasing interest from high net-worth Singaporeans to invest in prime Malaysian properties due to the attractive rental returns and affordability,” she notes. Lim says CapitaLand Commercial's portfolio of investment property is through Quill Capita Trust (QCT), a real estate investment trust listed on Bursa Malaysia. CapitaLand Commercial's investment in QCT is held through CapitaCommercial Trust which has a 30% stake in QCT. According to Lim, QCT's investment objective is to acquire and invest in office and commercial properties. “We are always actively exploring acquisitions for QCT,” he says. Beng Chee says the focus is on growing urban centres in Malaysia. In the retail sector, CapitaMalls Asia chief executive officer Lim Beng Chee says the company continues to look for opportunities to grow its presence in the local market. CapitaMalls Asia is well-positioned for growth in the country's retail sector, given that its five malls are located in the major urban centres of Penang, Kuala Lumpur, Selangor and Kuantan. The malls are Gurney Plaza and Queensbay Mall in Penang; Sungei Wang Plaza in Kuala Lumpur; The Mines in Selangor; and East Coast Mall in Kuantan. CapitaLand's serviced residence unit, The Ascott Ltd, also sees strong growth potential for its serviced residence operation in Malaysia. The Ascott Ltd regional general manager for Singapore and Malaysia, Tan Boon Khai says the company is positive about the serviced apartment outlook in Malaysia and would continue to look for opportunities to expand its footprint and presence. “The country's resilient economy and attractiveness as a destination for foreign direct investments (FDIs) augurs well for the sector. “As FDIs increase, we expect strong demand for serviced residences and we are constantly seeking opportunities to strengthen our leadership position in Malaysia,” Tan adds. As at December 31, 2011, Ascott's Malaysia portfolio is valued at S$101mil, The assets include Somerset Ampang Kuala Lumpur and Somerset Seri Bukit Ceylon Kuala Lumpur which are 100% owned by the company, and Ascott Kuala Lumpur (which it has a 50% stake). Last year, Ascott expanded to Cyberjaya, Petaling Jaya and Iskandar Nusajaya in Johor, which consolidated its leadership position as the largest international serviced residence owner and operator in Malaysia. Tan says the company has more than 1,000 units in the country which are scheduled to open over the next five years. “This year, we will be opening our first Citadines serviced residences in the country, Citadines Uplands in Kuching. This will be followed by Ascott Sentral Kuala Lumpur and Somerset Puteri Harbour Iskandar in 2013. “2014 will see us opening Citadines D'Pulze Cyberjaya and in 2016, we will have our new Somerset property in Damansara in Petaling Jaya. In total, this will bring our Malaysian portfolio to about 1,600 units,” Tan says.